Objects made of brass such as decorations, kitchen utensils can lose their spark over time or it can oxidize. 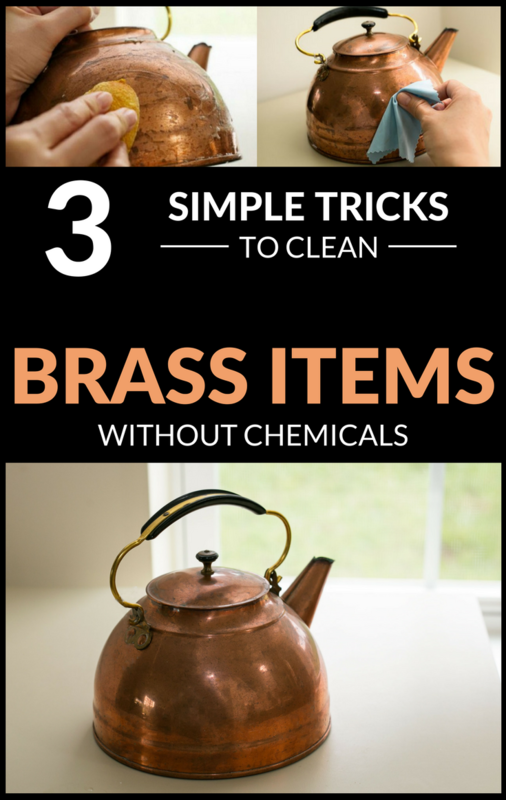 When it comes to restore brass objects, many of common cleaning products can’t help you. But, there is an ancient trick that can clean brass. Our ancestors used it to clean their jewelry to last longer and to spark beautiful in the sunlight. And the big advantage is that you won’t spend a fortune on cleaning products and you will also avoid a toxicity given by the chemicals found in every cleaning product. Just prepare a paste made of equal amounts of flour and salt and add water until you get the consistency of toothpaste. Apply the paste with a sponge on the brass objects and rub gently, and then rinse with plenty of water. Although it seems strange, spicy ketchup or other sauce containing chili is beneficial in cleaning the brass objects. Apply the sauce on a sponge and rub well the stained area, and then rinse with warm water. Repeat the process if necessary. This beloved soda is also loved by a lot of housewives. It’s very useful in cleaning a lot of things, and brass is one of them. Small brass items can be kept in coke for a few minutes, and then you can rub them with the green side of a sponge. Another option is to cover the item with a towel dipped in coke.